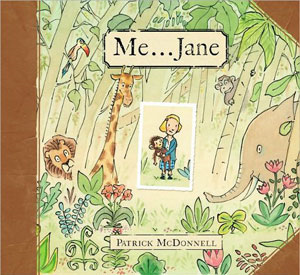 I loved the way the author took biographical information and pulled out the small details that a child could connect with, such as a stuffed toy, reading, climbing trees and playing outside. Every word counted in this story. The illustrations complimented the story and also told a story on their own if you didn’t consider the text. It's a really good example of how to make biographical information accessible for young children. This story had a wonderful message of following your dreams and interests in life. It also would fit well with discussions of observing and drawing nature and the outside world, as a good springboard for talking about the kinds of observations or “miracles” children might witness outside. Children might like to try this cartoony-style of drawing to depict the environment outside their school. 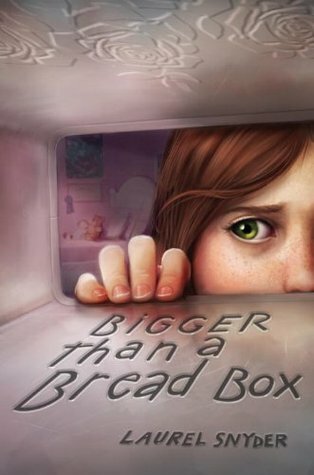 When twelve-year-old Foster and her mother land in the tiny town of Culpepper, they don't know what to expect. But folks quickly warm to the woman with the great voice and the girl who can bake like nobody's business. 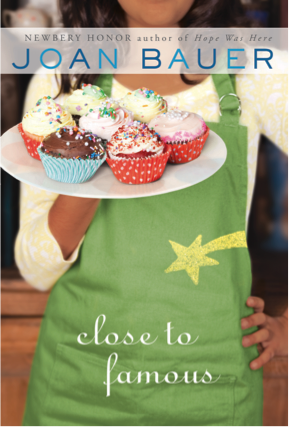 Soon Foster - who dreams of having her own cooking show one day - lands herself a gig baking for the local coffee shop, and gets herself some much-needed help in overcoming her biggest challenge - learning to read . . . just as Foster and Mama start to feel at ease, their past catches up to them. Thanks to the folks in Culpepper, though Foster and her mama find the strength to put their troubles behind them for good . 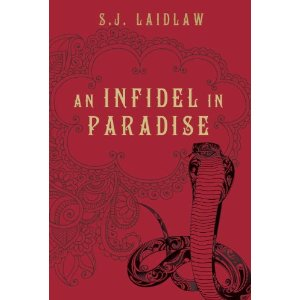 I just loved this book! Foster has an engaging personality and I liked her right from the beginning. I also had a lot of sympathy for her, because she was in a tough situation. And of course, I loved the idea of her selling her cupcakes and reading about all the different flavours made me want to run and bake. This book touches on some really difficult issues -- literacy, physical and verbal abuse, dealing with death of a loved one -- but the story has an underlying theme that you can get through your difficulties if you persevere. I think it’d be a great book to have in the classroom, because of the careful way it portrays Foster’s reading difficulties. This book reminded me a little of Because of Winn Dixie by Kate DiCamillo because of the way the main character interacted with the different people in her neighbourhood, and the way everyone was changed through meeting up with Foster and her cupcakes. As a writer, I loved the writing style. A lot of the story is told through dialogue, which gave it a fairly quick pace. Backstory is woven in seamlessly. The writing style is spare and direct, with just enough detail to create vivid images in my mind. I read this as an e-book from the library, but I'm going to get my own copy to study more closely and learn about plotting, weaving in backstory and writing dialogue. Joan did lots of “cupcake research” while working on her book and she has recipes for some of the cupcakes in Close to Famous on her website. For more info, visit Joan Bauer’s website. Here's a great quote from the video: "creativity is not inspired by the pressure of time, but by the freedom, the playfulness and the fun!" I hope you make some time to play with your writing this weekend. Alistair, Alice and Alex have returned home safe from their adventures, but now that they know their homeland, Gerander, is in danger they can′t sit by and do nothing. 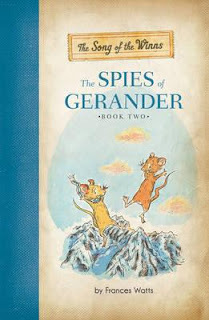 Together with their friend Tibby Rose, they join FIG -- an organisation working to free Gerander from the rule of greedy Queen Eugenia of Souris. Posing as orphans, Alex and Alice are sent on a risky undercover mission to the capital of Gerander in a desperate attempt to learn the Sourians′ plans -- only to encounter some old enemies . . . and some new ones. Meanwhile, Alistair and Tibby Rose set out to find Gerander′s secret paths and rescue Alistair′s parents from an enemy prison. But someone is determined to stop them -- someone who seems to know their every move. Is it possible FIG has a traitor? This was an exciting adventure, with lots of plot twists and turns. I loved the distinctive personalities of the mice, and especially Alice’s ingenious ways to get them out of sticky situations. It felt a bit like the mice characters could just as easily have been humans, since they used chairs, desks, whiteboards, etc., and I'd have liked a bit more of the mouse perspective. But I think many readers will get wrapped up in the story and want to find out if the young mice ever do get through all the obstacles and find their parents. 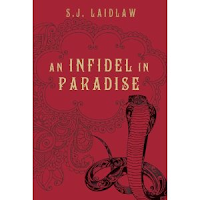 From a writer’s perspective, I enjoyed the descriptive detail and how the author created a strong sense of the setting. This book is a good one to study if you want to learn how to write cliffhangers, since most chapters end with one. Frances Watts was born in Switzerland, but she moved to Australia when she was a child. Come back on Wednesday for an interview with the author, Frances Watts! Frances Watts is also the author of several early chapter books and picture books, including Kisses for Daddy and Parsley Rabbit's Book About Books. For more info, visit Frances Watts’ website. 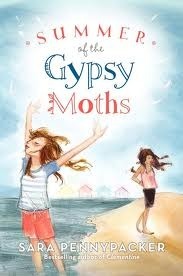 Marvelous Middle Grade Monday was dreamed up by the very energetic Shannon Messenger, author of Keeper of the Lost Cities. Visit her blog for an up-to-date list of all the bloggers who are participating and posting about middle grade books today!